Than, or higher than, the other. This is, he can compare the different levels of satisfaction. In an indifference map, one indifference curve represents a higher or lower level of satisfaction than another, hut one cannot say exactly by how much a satisfaction is higher or lower. 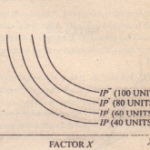 For this reason, indifference curves are generally given ordinal numbers to put them in the right order, I, H. III, IV etc., and no attempt is made to label – them in terms of units of satisfaction -since there are no such units. For an explanation of consumer’s behavior, it is sufficient to assume that he is able to rank his preferences .consistently. The assumption of ordinal measurement of utility made by indifference curve is less restrictive and more realistic. (ii) Nil Assumption of Constancy of Marginal Utility of Molehill. Marshall in his analysis of a consumer’s behavior assumed marginal utility of money to remain constant while the consumer proceeded to make purchases. 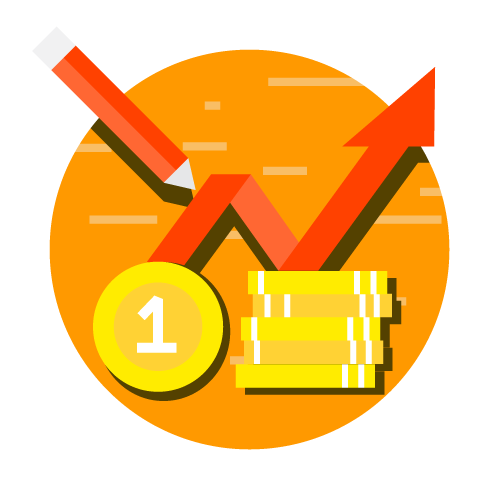 Marshall defended his assumption on the ground that since the consumer spends a small fraction of his income on a particular good, his marginal utility of money does not increase to any significant extent as he purchases more and more units of the commodity. This, (iii) is the same proportionality rule of equilibrium as enunciated by Marshall, and the indifference curve technique arrives at this rule with less restrictive and fewer assumptions. This is no small achievement. (I’) More General Theory of Demand. The superiority of the indifference curve technique lies in the fact that even with less restrictive and fewer assumptions, it gives us a more general theory Emanuel Tile ordinal utility theory enables us too enunciate the general theorem of demand in the following composite .Donn of which the Marshall law of demand constitutes a special case. 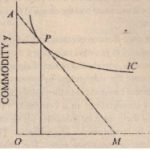 (a) the demand for a commodity varies inversely with price when the income elasticity of demand for that commodity is nil positive; (b) the demand for a commodity varies inversely with price when the income-effect or a change in price is smaller than the substitution-effect: and (e) the demand fur a commodity varies directly with price when the income-elasticity of demand for that commodity is negative, and the income-effect of a change in price is larger than the substitution effect. When either first the second condition is fulfilled, the Marshall law of demand holds; and when the third condition applies, we get the Griffin case of a positively sloping demand curve. The Giffen case was an exception to the Marshal law of demand. Marshall could not provide any satisfactory explanation of peculiar phenomenon presented by Giffcn goods: it remained a paradox to him. as Sir Robert Giffen, after horn the problem has been namid Hicks’ explanation of a Giffen case is that the negative income effect i so powerful that it outweighs the positive substitution effect and hence, when the price of a Giffcn good fall, its demand also falls, steadily of rising. Disillusion However, in spite of the e weakness, the indifference curve technique is now days largely considered superior to the marginal utility analysis of Marshall and has of late gained considerable popularity among economists.